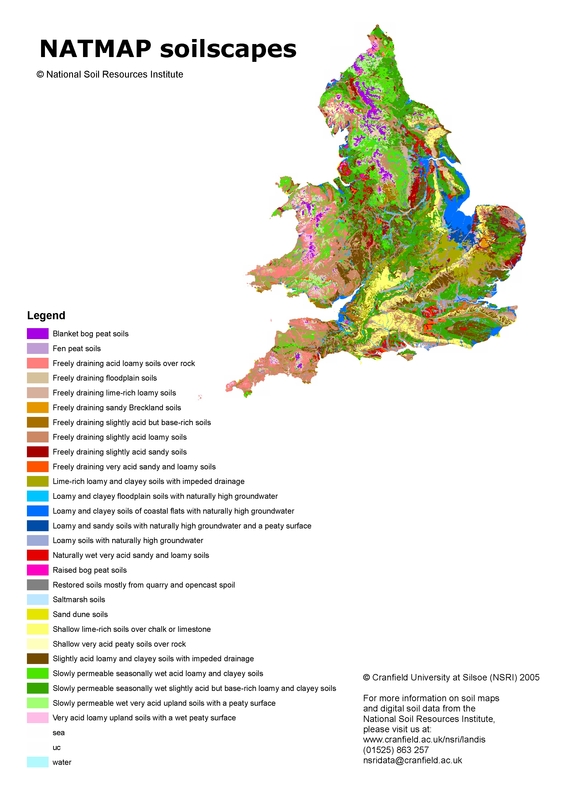 NATMAP Soilscapes is a popular product derived from the National Soil Map. It seeks to provide a useful, concise, easily interpreted and applicable description of the soils of England and Wales. However, unlike NATMAP vector, NATMAP soilscapes cannot be customised with non-spatial data like SOILSERIES. 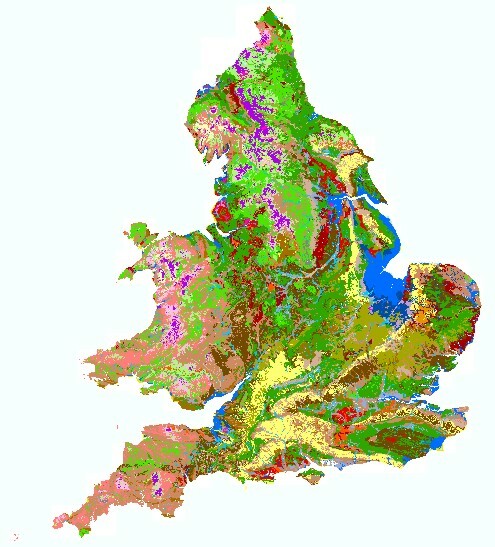 NATMAP soilscapes is useful for anyone wanting generalised and simple-to-understand soil information at a 1:250,000 scale. Conservationists, naturalists and those concerned with whole eco-system dynamics will find this data very useful, as will city, county and district councils. To view the legend for NATMAP soilscapes, click here.